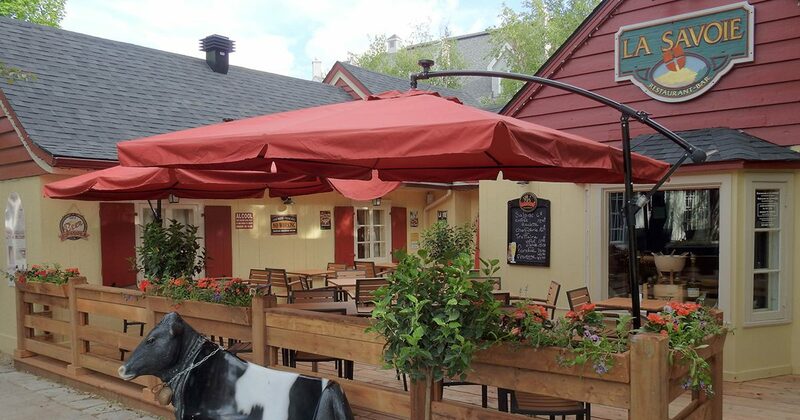 It can be hard to choose between the more than 30 restaurants available in Tremblant once hunger strikes. To help make your choice easier, here are 5 essential restaurant visits to make while visiting the resort. Located right at the foot of the slopes, La Forge Bar et Grill offers a distinct food experience and ambiance on each of its two floors. On the main floor, the bistro-bar’s warm and inviting atmosphere is the perfect setting for a comforting food fare which includes homemade pogos, duck confit wings and mac’n’cheese. For the more adventurous minded, try out the smoked crocodile poutine with green peas. Upstairs, in a true meat lover’s paradise, visitors can try out the aged Angus beef cooked on wood charcoal and pick a bottle from the extensive wine card. For a memorable experience, order the half suckling pig confit, which feeds 4 adults. The restaurant has received a Wine Spectator’s award every year since 2003. 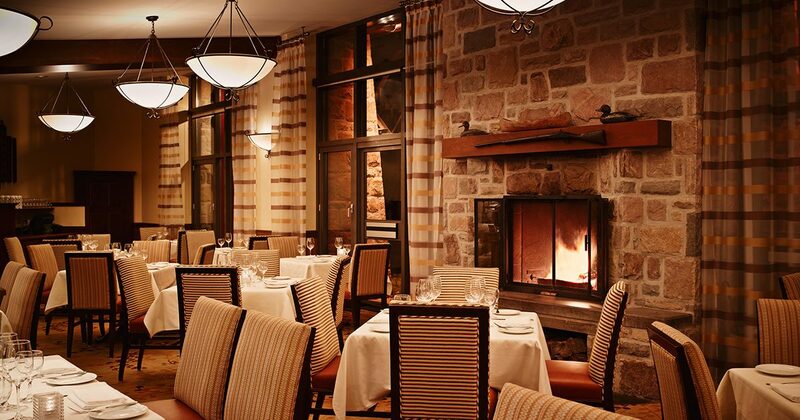 If your better half takes hours to decide what to order everytime you eat out, then the Fairmont Tremblant’s Windigo restaurant is your best option. Its signature “surf, turf and sushi” buffet is available every Saturday. Food lovers will rejoice when the vast choice of dishes lovingly prepared by Chef Éric Beaupré and his team are served. For guests not staying at the hotel, a free valet service is offered with the meal. 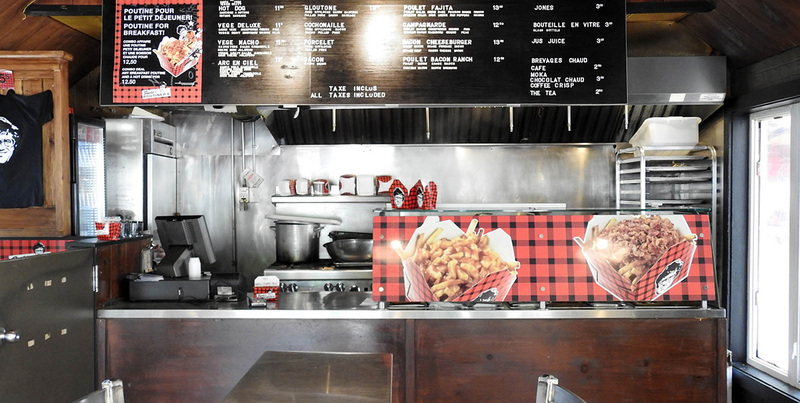 If calories do not scare you, then you will find a home at Smoke’s Poutinerie. In a few bites, your daily intake will be met but it is worth it. Let the “Bacon” poutine, a poutine smothered with bacon, tempt you. Or try the “Cochonnaille”, a chipotle pulled pork and bacon delight. Kitchen is opened until 4 A.M. on Fridays and Saturdays. Just as Quebec has poutine, La Savoie has fondue (and its many variations). La Savoie restaurant offers traditional raclettes, made from raw milk imported from France, as well as red wine fondues. A perfect remedy for chilly evenings! Looking for a bit of glamour? Stop by Altitude Seafood and Grill restaurant, located inside the Casino de Mont-Tremblant. Reserved for adults 18 years or older, you can choose between surf and turf specialities… while sipping a martini and dropping a few bets at the game tables. 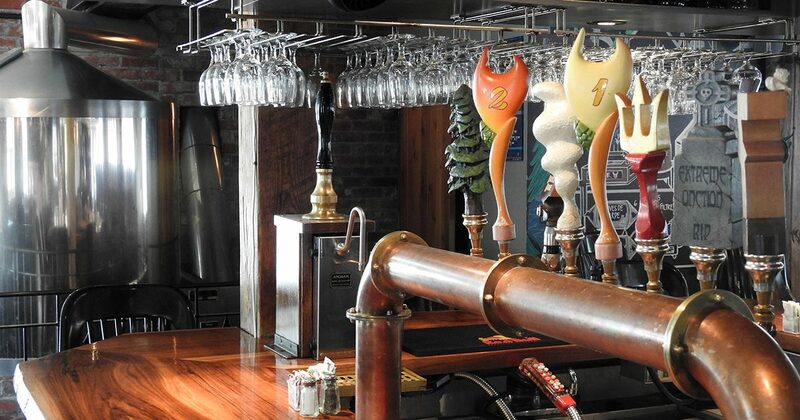 If you are looking for a drink, head to Microbrasserie La Diable. There, you can try one of the seven artisanal brews in a chilled out atmosphere. Don’t forget to try the monthly beer special, a great way to discover new flavours.